Ken has been a member of the California bar since 1980. He received his Juris Doctor from the University of California, Hastings College of Law, in 1979. He received his undergraduate degree from the University of California, Irvine in 1976. During the early part of his legal career, Ken worked in the Coachella Valley, New York City and Beverly Hills. Areas of practice included federal and state securities and banking laws, real estate syndications, and general business and real estate law. In 1985, Ken accepted a position as an Assistant Attorney General for the State of New Mexico. For 2 ½ years, Ken represented the State prosecuting illegal land developments and fraudulent timeshare projects. From 1988 through 2013, Ken was in private practice in Santa Fe, New Mexico, representing small businesses, land developers and builders, and buyers and sellers of both residential and commercial properties. His practice covered a wide range of transactions and disputes, including subdivision and condominium developments, commercial and residential leases, easement and boundary disputes, title issues, mortgage foreclosures, land use permits, zoning issues and sales and purchases of businesses. 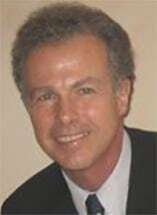 Ken served on the City of Santa Fe’s Policy Planning Commission, and later was appointed by the Santa Fe City Council as a hearing officer for land use appeals. In 2009, Ken and a business partner formed Transcendent Advisors Group to assist startup green technology companies throughout the U.S. Through his work with TAG, Ken gained extensive experience dealing with the inevitable ups and downs, blind alleys and funding challenges of startups. In 2013, Ken left the practice of law and, with the same business partner, formed a new entity, Emissions Tech Partners. ETP has been promoting and developing projects on the African continent on behalf of several novel green technologies. Ken resided in Johannesburg, South Africa from March 2015 through May 2016 to facilitate ETP’s work in Africa. Through his work with ETP, Ken has gained further insight into the difficulties faced by growing businesses. Ken has now returned to the private practice of law in San Diego County, with the goal of advising and assisting individuals, families and small enterprises in all areas of real estate, business and land use law.